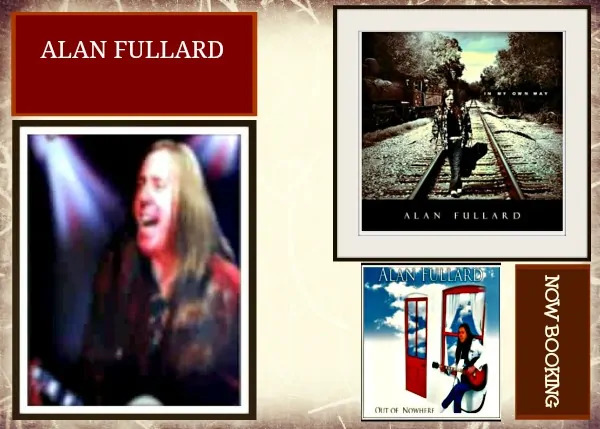 Alan Fullard singer songwriter has a career spanning over 30 years in the music industry. His early work from 1977 included performing as lead vocalist, keyboard player and songwriter with prog rock band Leargo. He has toured and recorded with bands such as Sumo Giants (Tower Of Babel produced by Jeff Lynne) touring Japan and supporting Wings and Denny Lain. For two years he worked as musical director with Honeybus – Can’t Let Maggie Go and has performed with The Kinks, Hollies, Searchers, Tremeloes and The Troggs. 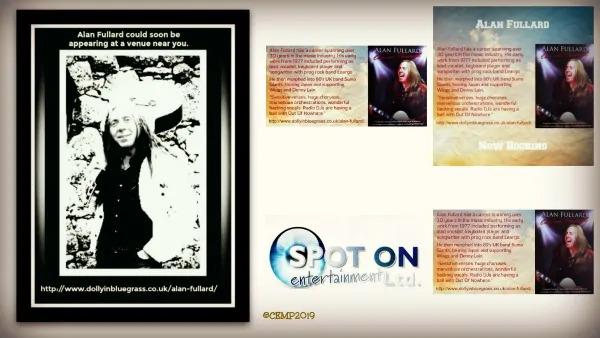 Having played thousands of gigs solo in the UK and Ireland, Alan can still be booked as a solo artiste but has enhanced bookings when backed by a highly talented 7 piece band. He has crafted his art as a great singer songwriter. See for yourself ! Alan’s latest album – Heartrise – is out now. Add this album to your collection! 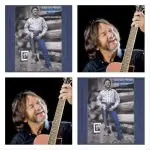 Alan is an international songwriter and here is another great album, In My Own Way. Alan’s first album, Out Of Nowhere featured the outstanding track, America, which won a Sky TV award for best new song. “Out Of Nowhere offers finely crafted songs both lyrically and melodically and all delivered in Alan’s own distinctive way. From beautiful Pot Of Gold to the anthemic salute to the US – America, this is an excellent work. Lend an ear!” Charlie Landsborough. Alan is ideal as the main attraction at country music clubs and festivals. He is equally at home performing at Front Room Events wherever they may be in the country. You are assured a fantastic event when booking Alan to entertain at your venue. Add the albums to your collection. Contact us to book this popular singer songwriter for your event. Mention your budget.